Nothing is worse than thinking that you found the perfect tenant, but in reality they cause more trouble than they’re worth. They stop paying rent, they trash the place, they hide pets and other things from you, and sometimes, they even get the cops called on them (multiple times). Follow these 8 steps to help you screen your tenants for a successful renter experience. Pre-Screen — Before you even give prospects a rental application or show them the unit, you need to verify whether or not they meet your basic requirements. When they call or email, let them know your basic requirements (annual salary, rental history, etc.) so that you won’t waste their or your time. Show the Apartment — This isn’t necessarily the second step, but it is an important one. Of course the potential renter will want to see the unit, and it is a wise idea to show it to them. When they are walking around, you have a chance to watch the tenant to see if they are someone that you would like to rent to. 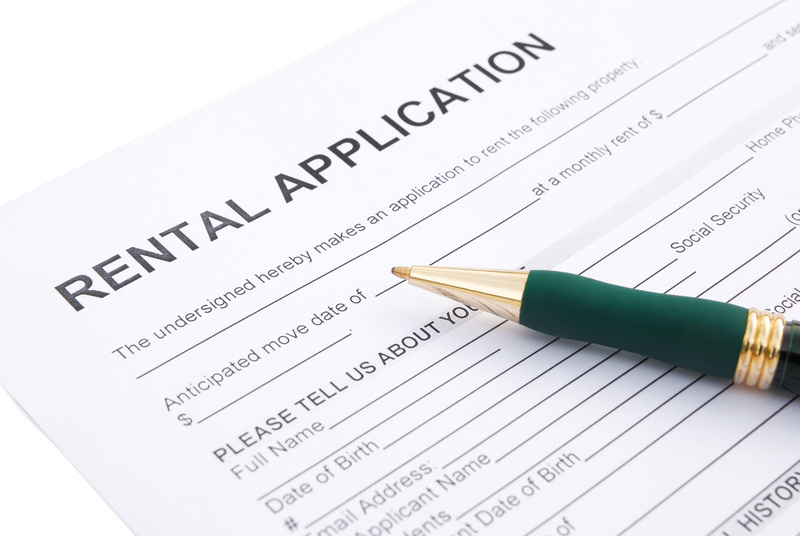 Require an Application — You can learn a lot about a tenant by giving them a simple application. Ask everything that you need to know such as financial information, employment history, social security number and other personal information. Clearly state in the application that you will be running a background check and credit report, and even have them sign that they are aware that you will be doing so. Run a Background Check — Once you have the information that you need, run a criminal background check on your potential renters to see if they have anything questionable in their past. You can then decide whether or not you would like to rent to them based on their criminal history. Run a Credit Check — To find out if your potential renters pay their bills on time and won’t be a financial burden, run a credit check. Good renters will be upfront about their financial situation even if it is not ideal, while poor renters will attempt to cover it up or even offer you a printed copy of their credit report that might be out of date or inaccurate. Contact References, Landlords, and Employers — Once you do the formal checks, call the references that the applicant provided. Call employers to verify financial information as well as work ethic, call past landlords to see if there was any conflict, and call the personal references for insight into their personal life. By following these six steps, you will be able to weed out the challenging renters and find quality renters that will pay their rent on time as well as take care of the apartment or home. Of course, screening your tenants is a arduous task. Part of our property management package includes screening tenants to fill your unit as soon as possible. We have a tried and true process that helps you fill your units with quality renters.